After the papers on ivory lunulae (Valera, 2010), ivory anthropomorphic figurines (Valera and Evangelista, 2014) and ivory zoomorphic figurines (Valera, Evangelista and Castanheira, in press) a new is in preparation, summarizing and debating the ivory materials from Perdigões to be submitted to thematic volume of World Archaeology journal (António Valera, Thomas Schuhmacher and A. Banerjee will be authors). In this context the study of figurines is being completed with this year findings at the cremation contexts. And these figurines don’t cease to amaze us. That is the case of this large head (34mm high) that presents 4 eye holes organized by two pairs. One of the eyes is still inlaid with white paste, reinforcing the argument that large and deep eye holes in some of these figurines were inlaid with some materials. In another figurine from Perdigões, one of the eyes still has a small stone fixed with some sort of clay. But this head also show us that some of these figurines were quite big. In the paper already published (Valera and Evangelista, 2014) we were able to determine the general percentage of the size of the heads relating the all body (through the measurement of several complete figurines from South Iberia). They seem to cluster in two groups, one around 18% and another around 13%. Assuming these percentages, this head would belong to a figurine with 19 cm (in the first cluster) or 26cm (in the second cluster). So, there are some quite large ivory anthropomorphic figurines at Perdigões. 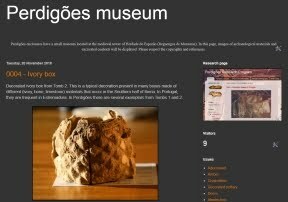 VALERA, António Carlos (2010), "Marfim no recinto calcolítico dos Perdigões (1): "Lúnukas, fragmentação e ontologia dos artefactos", Apontamentos de Arqueologia e Património, 5, Lisboa, NIA-ERA Arqueologia, p. 31-42. VALERA, A.C. E EVANGELISTA, L.S. (2014), “Anthropomorphic figurines at Perdigões enclosure: naturalism, body proportion and canonical posture as forms of ideological language”, Journal of European Archaeology, 17(2), pp.286-300. 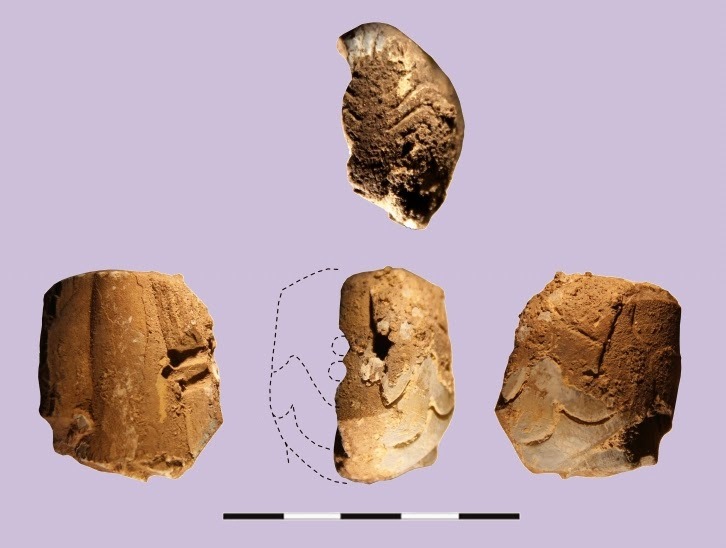 VALERA, EVANGELISTA AND CASTANHEIRA, in press, “Zoomorphic figurines and the problem of Human-Animal relationship in the Neolithic and Chalcolithic Southwest Iberia”, Menga.